After the funeral, Grandma wanted to sort through some of the things Grandpa had kept in his office for years. He had an extensive collection of books, housed on shelves he made himself. 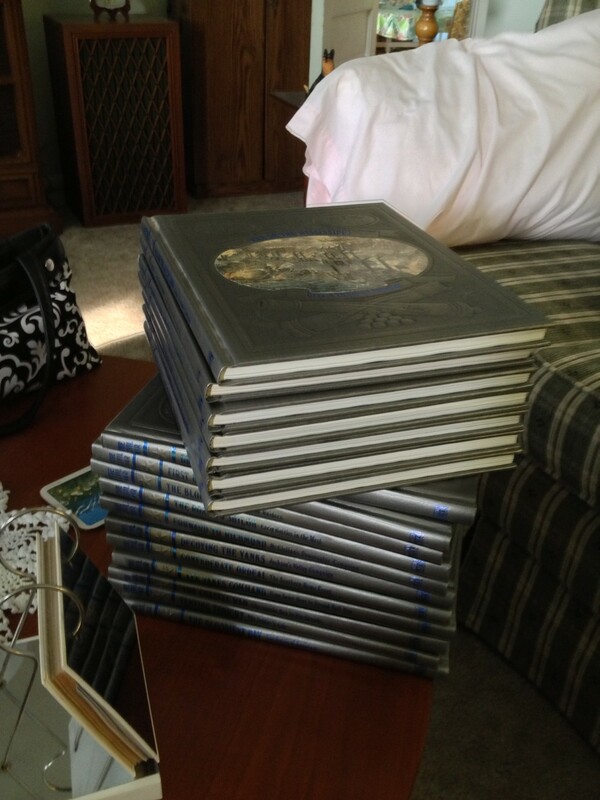 The orders from Grandma were: any books that family members didn’t want were being donated to the library. Naturally, we all took a look. collection. My dad and I split the Baltimore-related books (more on that in a minute). Near the top of one of the shelves, I found a collection of electrical engineering textbooks that I can only assume he used during his training in the Navy. They don’t seem like they’d be very old – they’re only from the 1930s – but one of the books admits right up front that we don’t really understand a lot about electricity, but that it is probably the result of a “tension or strain” in the “ether“. My how far we’ve come, huh? I had to take those. collection. I had the Gettysburg one as a kid, and I really beat it up, but boy did I love that book. I haven’t dug too deep yet, but the rest of the collection looks just as good. The Time-Life Civil War Collection. Apart from books, there were some other valuable items: ship models, hats, old liquor bottles, carved wooden masks, and lamps. Many of the gathered family members were able to find something that was meaningful to them. My dad was looking for one thing in particular: the family records. I didn’t know what the big deal was. I have an Ancestry.com membership. Distant Cousin Bill Skillman has assembled a very complete family tree. What’s so special about these records? I found out as soon as my Cousin Kyle found a box near the bottom of the closet with my dad’s name on it. Apparently, Grandpa knew that my dad would want to be the keeper of the records. Inside was a hand-written family tree (in pencil) on the back of Skillman Baking Company paper. I haven’t had a chance to really examine it myself yet, but it looks amazing. I have no idea who wrote it, but it has to be at least 100 years old. Another box was labeled “Mother Skillman”. I can only assume that this refers to my Grandpa’s mom, Sophie (Jory) Skillman. This box had a ton of pictures and letters in it. I also haven’t gone through all of it – we left it with my Grandma in Lewistown. There were two things that I took from that box though, and tonight I scanned them so they can be preserved. 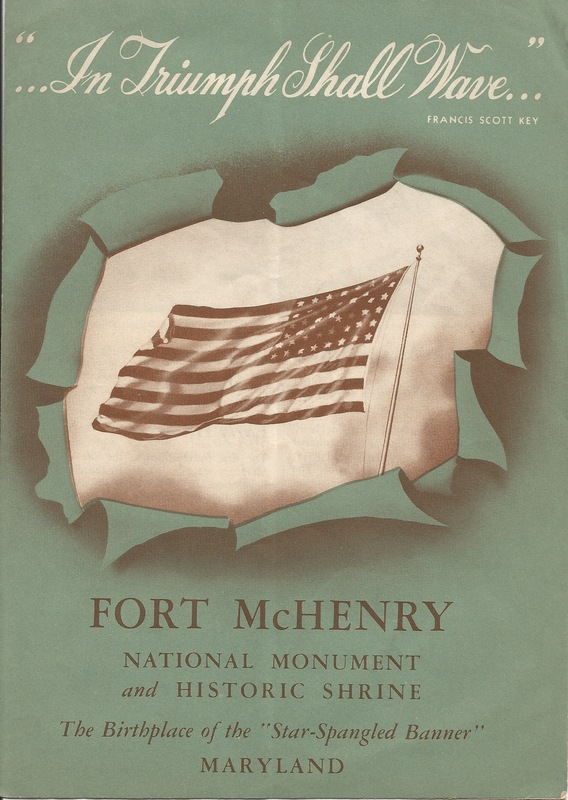 One is an old brochure from Ft. McHenry National Monument and Historic Shrine. I’ve collected quite a few of these myself over the years, but none as old as this one. Based on the the fact that Harold L. Ickes is listed as being Secretary of the Interior, and Newton B. Drury is listed as the Director of the National Park Service, the brochure would have to have been produced between 1940 and 1946. I guess my Great-Grandmother must have gone down the avenue (she lived at 1604 Johnson Street in Baltimore) to visit the fort sometime during those years. It’s a cool document. Admission was $0.10 back then. The cover features a 48-star U.S. flag (shouldn’t it always be a Star-Spangled Banner?). I’m amazed that both my Great-Grandmother and then my Grandpa decided to keep this brochure around for all these years. Why? Was this a memento of a special visit for them? Was it just a familiar reminder of Baltimore for my Grandpa? I’ll probably never know. Either way, I created a high-quality PDF of the brochure to preserve and share it. Feel free to have a look for yourself. See what the past thought of the past. The other item from the box is equally interesting. 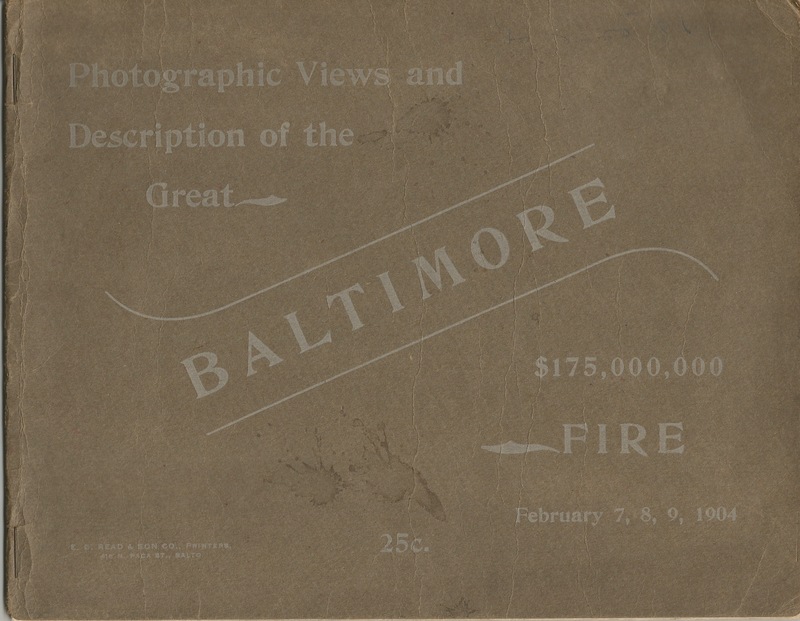 My Great-Grandmother kept a small book (it’s more like a pamphlet) of photos from the 1904 Baltimore Fire. As best as I can tell, the book itself dates from 1904. Obviously, this was a major event in her life. Looking at the photos, you can see that the devastation was almost unbelievable. This story isn’t much told – even locally in Baltimore. We should try to change that. Cover of my Great-Grandmother’s Baltimore Fire book. 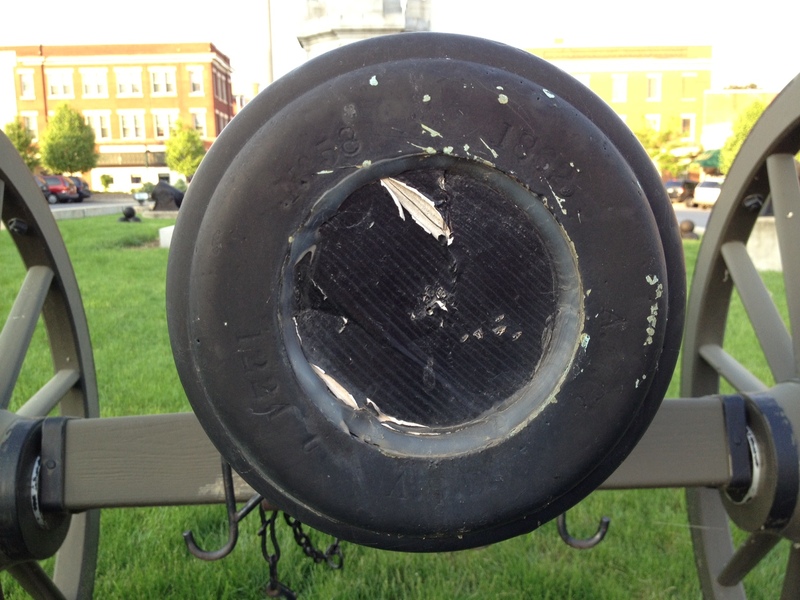 The cover announces that there was $175,000,000 of damage. That’s over $4.4 Billion in today’s dollars. I also made a PDF from high-resolution scans of this book, and it’s worth a look if you have any interest in Baltimore’s history. This is just a taste – I’m sure there’s plenty more in those boxes up in Lewistown. I’m so excited to see what else is waiting up there for us to discover. Thanks for keeping this stuff around, Grandpa. UPDATE: I’ve replaced the PDFs with much smaller versions (filesize-wise) that my dad created from my originals. While I was up in Lewistown, PA for my grandfather’s funeral, I took a ride around town with my dad to get some photos of a few of the downtown buildings. My dad got some great nighttime shots, but I turned out to be more interested in getting some daytime shots yesterday, because the dominant feature in the town square is a Civil War monument with some guns on display surrounding it. I had to get a better look at that artillery! Manufacturer – S. McM. & Co. The manufacturer of these weapons is listed on the muzzle as “S. McM. & Co.” this stands for Seyfert, McManus & Company, which made several different models of heavy siege guns for the U.S. Army in Reading, PA about 100 miles or so east of where the guns rest today. They were inspected by “S.C.L.”, or US Army Ordinance officer, Stephen Carr Lyford. Since these weapons were made in 1865, and the war ended in April of that year, I doubt these ever saw active service – they were probably made to fulfill a contract. If either of them did make it to the field, it would probably be the #7 one. The other weapons in the square are what I was really interested in. These were 12-pounder Napoleons that someone – for some unknown reason – decided to paint black, forever destroying their beautiful bronze patina (though some streaky green shows through a little bit). This is especially sad, I’m sure, for one of these guns. Manufacturer – A. M. Co. Inspector – A. R. D.
As you can see, this gun is exciting for me because it’s certainly possible that it was at Gettysburg. There were 244 12-pounder Napoleons at Gettysburg on both sides, and since this gun was made sometime in 1862 (the Register of Inspections shows that it was inspected and accepted into Federal service on May 31, 1862), it’s absolutely a sure thing that it would have made it to the field by the summer of 1863. The only question is whether this gun went to one of the eastern or western armies. “A. M. Co.” is an abbreviation for Ames Manufacturing Company which still exists today. In fact, you may have used their more recent products in your garden. Their cannon manufacturing operations were headquartered in Chicopee, MA just north of the US Armory at Springfield. The inspector for this piece was Alexander Brydie Dyer, who was the commander of the Springfield armory at the time. It is gut-wrenching to see this gun painted-over. Every one of the Revere Napoleons that I’ve ever seen has the most beautiful, bright, consistent green patina. It’s the mark of extremely high-quality metals and processes being used to make them. For a reason I will never understand, the people in Lewistown decided that these guns would be better off hiding their brilliant craftsmanship and masquerading as iron weapons. Manufacturer – Revere Copper Co. Inspector – T. J. R.
Once again, we have a gun that could have been at Gettysburg. The Register of Inspections is unclear on this particular serial number, but given the pattern of inspections from previous months, this gun was probably accepted into Federal service sometime in February of 1863, giving it enough time to have made it to the field by that summer. We still have the east or west question just like the Ames Napoleon above, too. The inspector, Thomas J. Rodman – the inventor of the Rodman Gun, and a more efficient type of gunpowder – is one of those legendary ordinance officers in the Civil War. I’m going to try to dig into these pieces a little further to see if I can find any definitive service history for these serial numbers, but I doubt that any such document exists. We’re left to speculate by ourselves about the work these guns might have done 150 years ago. WARNING: This post is going to basically be a diary entry about my Grandfather’s funeral and the events surrounding it. While this will probably only be of interest to family members, I just wanted to record it somewhere. I’ll make some other posts about historically-interesting things soon. As I suppose people do, our family went into planning mode when we found out very early Friday that my grandfather had passed away. The funeral was scheduled for Monday morning, and we had to make the family come together in Lewistown, PA.
My immediate family – including my wife and son, my parents, my brother and his wife, all made plans to go up Sunday and spend the day with whatever other family members were there. As it turned out, there was quite a lot of company – my Uncle Dave and Aunt Dawn had driven from Illinois. My Aunt Marty made the trip from New Jersey. Uncle Rob and Aunt Faye live in town, and of course so does Grandma. We all met up at Grandma’s house, and after a brief visit, went over to the funeral home for a 5:00pm private viewing for the family. I suppose the people at the funeral home want to make sure that everything is set up the way the family likes. I didn’t take any pictures at this stage, but it was very well done, as usual – both of my grandma’s parents, as well as both of my maternal grandparents, used the services of this home, so we are very familiar with their work – sad as that may be. The whole family went back to Grandma’s house to make sandwiches and just visit for a little while. It was a really nice time. Isn’t it a shame that you never get together with family from all across the country until there’s a death? We just don’t make enough time for things like that. Since we all wanted Grandma to try and get some rest, we left around 8:00pm and went over to the hotel. 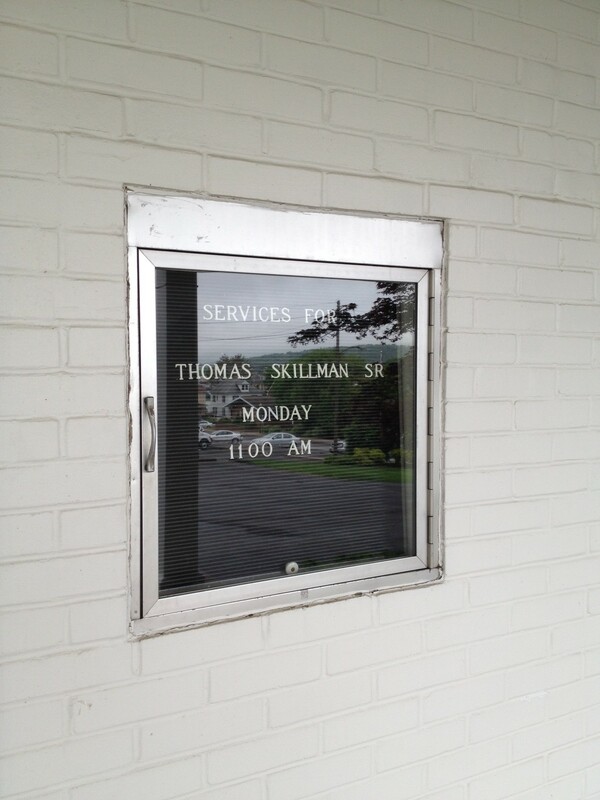 Grandpa’s name listed at the funeral home. In the morning, we got ready and met up in the lobby. It turns out that Aunt Holly and Cousin Kyle had made the trip down from Canada and arrived late Sunday night. The whole family left together so that we could get to the funeral home by 9:30am. Once we got there, we met up with my cousin Michele (Uncle Dave’s daughter) and her husband Tim who had driven up from the eastern shore of Maryland. We got our cars in order for the procession to the gravesite, and then went inside for the public viewing. There were pictures of Grandpa set out, and some flowers that family members had ordered were displayed near the casket. It was as nice an atmosphere as you can have for an event like that, I suppose. Lots of people showed up for the viewing – more than I was expecting from the way Grandma talked about it anyway. My Grandpa had quite a full life, and that was represented by the folks who came to see him. There were friends from his days in the local police force, people he knew from church, and representatives from the VFW (as my Grandpa had served on the USS Alabama during the closing days of WWII). 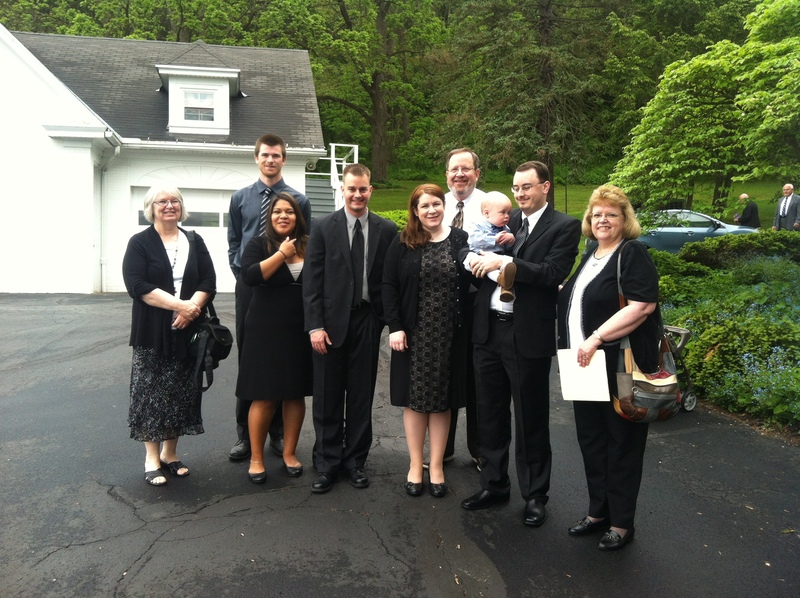 Family gathered for Grandpa’s funeral. The service itself was very nice. Rev. Robert Zorn, the pastor from my Grandparents’ church, did some readings and had some nice things to say about Grandpa. 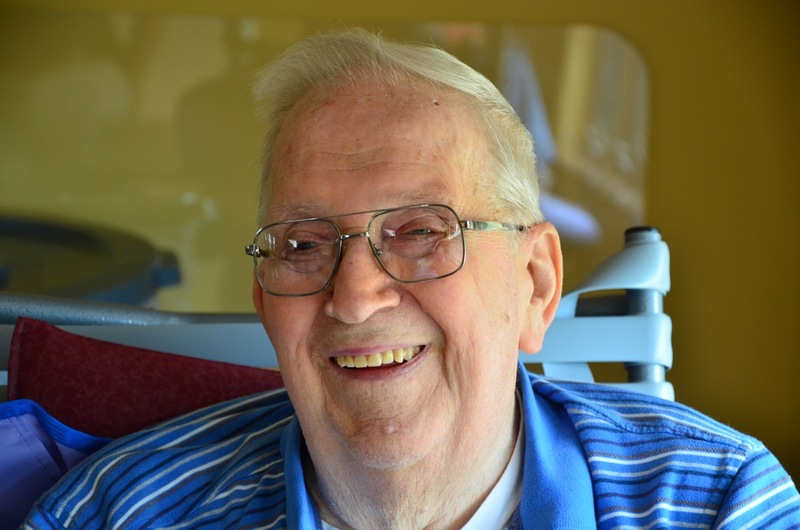 He regularly spent Monday mornings visiting with him out at the Malta Home, so he had a few stories to tell. My Uncle Dave eulogized Grandpa, and while he announced that he was nervous about his ability to get through that experience, he didn’t waiver at all. 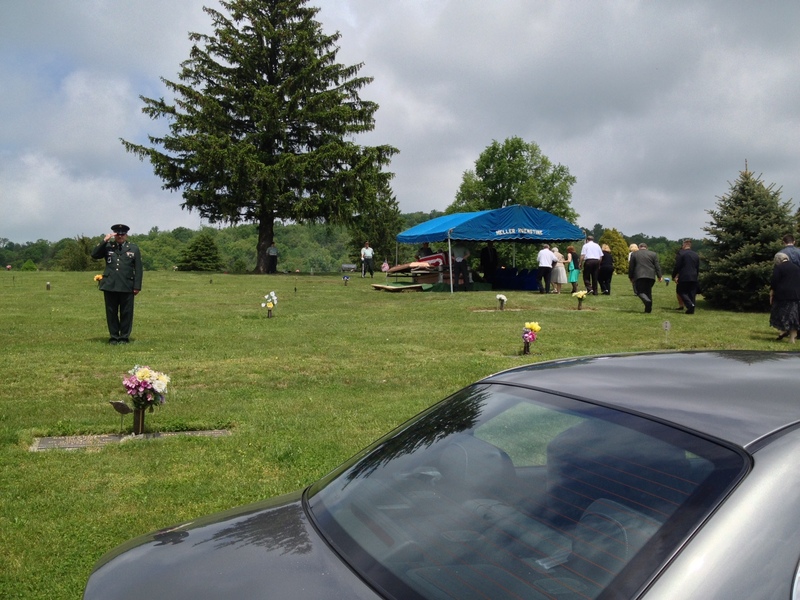 A friend of my Grandpa’s, Tom Gross, gave a lively and entertaining tribute – if a funeral can have such a thing, Tom was the life of the party. Finally, it was time to go to the graveside. We wound through Lewistown, and out to Juniata Memorial Cemetery where the VFW representatives, and Grandpa’s flag-draped casket were waiting for us. Rev. Zorn said a few words and then turned it over to the VFW honor guard who performed a flag-folding ceremony. My Grandma was given his flag and a few words of kind gratitude – an all too familiar scene. There was a rifle salute (which scared little John to the point of tears), and the playing of Taps (which seemed to soothe my son). Dismissed from the graveside, we all met back at the church for a fried chicken lunch and some time to relax and share memories. I think we’re all grateful to the church ladies for making that happen. Eventually, we found our way back to Grandma’s house to visit some more and to start going through the things that Grandpa left behind. 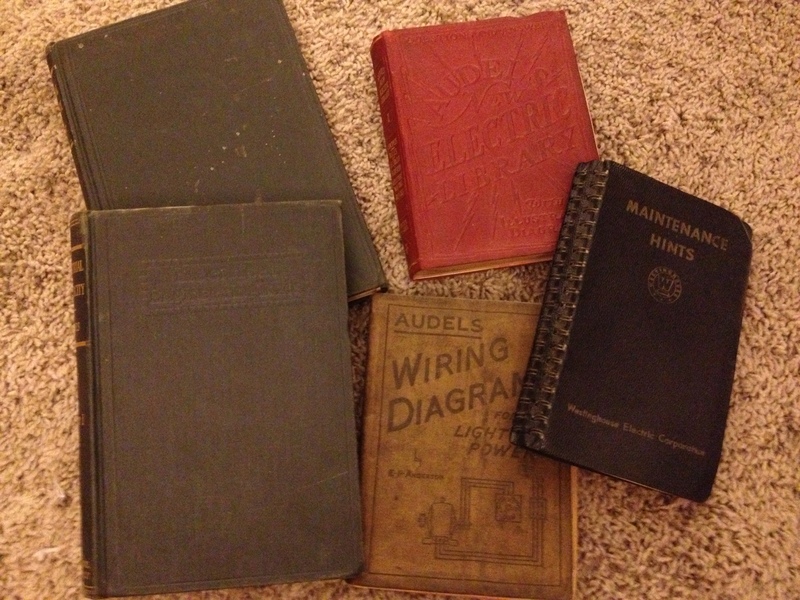 Grandma wants to get his old office cleared out of books and miscellaneous papers, and in the process of starting that, we stumbled onto a treasure-trove of family history that we’ll have to go back up and start to catalog. I’ll share my initial impressions of that family history in a follow-up post. UPDATE: I’ve added a scan I made yesterday of the Lewistown Sentinels‘ Obituary for Grandpa as a PDF. 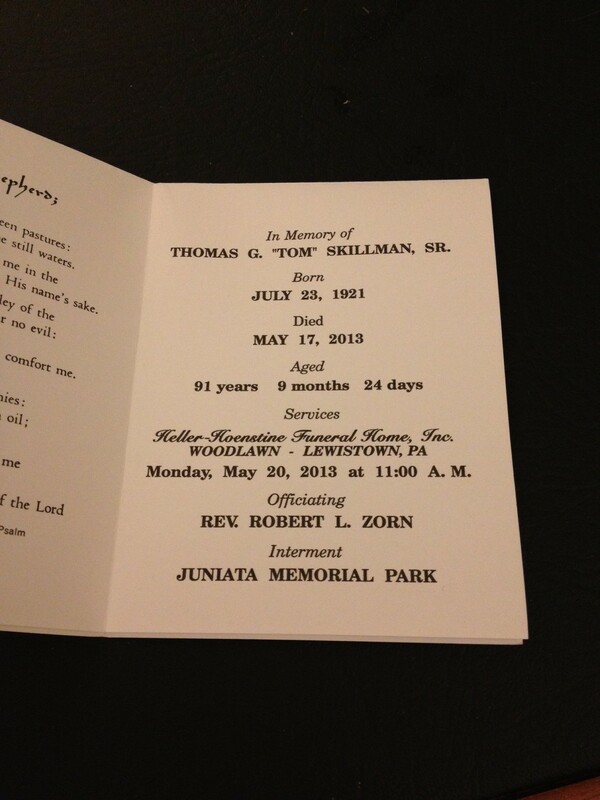 RIP Thomas Gilbert Skillman, Sr.
UPDATE: There will be a viewing at 10am, with the funeral at 11am on Monday, May 20, 2013 at the Heller-Hoenstein Funeral Home in Lewistown, PA.
Interment will be at the Juniata Memorial Cemetery. A luncheon will follow the services at the Lewistown Presbyterian Church. The Lewistown Sentinel has an obituary. Originally published December 21, 1787 by “Publius” – who was in this case, Alexander Hamilton. Some people might suggest that the States (while taking direction from the Federal government) should have responsibility for the common defense. The problem with this idea is that it throws the whole system on its head. Not only is it potentially dangerous and burdensome for the States to handle this task, it defeats the purpose of having a Union in the first place. We are surrounded by foreign nations – it’s not like only specific States are on the borders. All the States face the same danger, so why not have a common government to deal with them? There are some States that face a slightly higher danger and therefore have more responsibility to defend their neighbors (like New York because of its long border with Canada) – this burden isn’t fair to New York, though. And if New York isn’t up to the task of defending that whole border by itself (which it isn’t) that puts every other State in jeopardy, too. Even if New York was up to the task, wouldn’t it be trouble for one State to have such an over-powering military all to itself? Wouldn’t its neighbors be nervous enough that they might build larger military forces than they actually need to counter the threat from other States? It isn’t hard to see how this could lead to friction amongst ourselves. There are a lot of things that are bad about this idea. We’ve already discussed that the States will be fighting for power with the Federal government regularly. In any such conflict, the local government will probably win out. If those governments also control their own militaries, they would certainly have too much power against the Federal government. It’s also going to be worse for the freedom of the people. It’s better to have the military be under the control of the Federal government (which the people are more likely to be skeptical of) than under the individual States. History teaches us that the most dangerous people are the ones that we trust. With the understanding that heavily-armed States would be dangerous to the Union, the framers of the Articles of Confederation restricted the States from having armies and navies. In reality, this rule is effectively ignored just like the quota system for revenue. There are other issues with this idea, too. What proponents of it are trying to do is prevent standing armies during peacetime. But does this prohibit raising armies as well as maintaining them? If it applies to maintaining, how is that going to be determined? Are they only allowed to be maintained for a brief period, or until the crisis is over? Under such a system, couldn’t armies exist in times of peace, and if so, wouldn’t that go against the literal words of the prohibition? Who is going to be the judge of what “time of peace” means? Obviously the Federal government would have to be the judge of this, so how much of a restriction would this be really, if it can be circumvented so easily? The only thing this is defending against, in reality, is the unlikely event that the legislature and the executive co-operate to make trouble. And if that happened, it would be extremely easy to come up with phantom threats that we need to defend against. The Native-American tribes (incited by Britain or Spain) will be a ready scapegoat. Such a diabolical government may even nudge those foreign powers into making the first attack. We could restrict the Federal government from raising an army during peacetime, but then, we’d just be creating a country that can’t even prepare to defend itself against an imminent invasion. Formal declarations of war aren’t always issued. We may not know that we’re at war until we’re invaded, and we may not legally be able to even prepare to act until it’s too late. All the preventative and preparatory measures that other countries use would be illegal for ours. Our homes and freedoms would be at the mercy of any foreign nation – and all because we don’t trust the people we chose to run our own country! People might counter that the militia should be the rightful, able, and ready defenders of the country. But we know from our experience in the Revolution that this isn’t true – we needed an army for our defense then, and we’d be stupid to give credence to that argument now. A militia is no match against a well-trained and well-equipped army. An army would be cheaper, too. During the Revolution, the militia performed great service, but they know that they couldn’t have done it alone. War can best be won by veteran soldiers who know what they’re doing. Any policy of violence (because they just don’t work) will ultimately fail. Think of Pennsylvania – its constitution prevents it from having standing armies in peacetime, but it has raised one anyway because of small rebellions in a few of its counties. Or what about Massachusetts? it raised a force (that it has kept around to date) in order to deal with a similar insurrection without getting Congressional approval first like the Articles of Confederation require. This just goes to show, we may actually need a military force during peacetime – we shouldn’t absolutely prevent the legislature from having that option. And think of the lesson here – a weak Federal government isn’t going to be respected, and rules on paper aren’t going to mean anything if the people think they need something else. Returning to history, it was an important aspect of the Lacedaemonian commonwealth that no one could be Admiral twice. But when the Peloponnesians had been beaten by the Athenians in a naval battle, they called for Lysander (who had led them to victory years before) to be given that title a second time. In order to get around the restriction, he was given the Admiral’s powers, but under the title Vice Admiral. This perfectly illustrates the point above – the rules will be broken if society thinks it should break them. If we’re smart, we won’t make rules that we know will be broken, because it will only lead to further infringements on the other laws whenever a politician claims that it is “necessary”. Originally published December 19, 1787 by “Publius” – who was in this case, Alexander Hamilton. There is only one argument that I’ve heard against the military powers granted to the Federal government in the proposed Constitution, and that is that there doesn’t seem to be enough protection against the creation of standing armies. Let me speak to that point. This objection is only vaguely asserted, with no real facts to back it up. It goes against the historical evidence of every other free nation, and against the general will of our citizens. It seems like what these people want is for us to limit the power of the legislature when it comes to military affairs. With the exception of a few State constitutions, this idea is almost unheard of, and nearly universally rejected. If you were learning about our political system for the first time by reading the current newspapers, you’d think that either the proposed Constitution explicitly requires us to have a standing army, or that the power to decide whether we have one lies with the President – while Congress has no say in the matter. Of course, if the same person read the actual proposed Constitution, he’d see how wrong this initial impression is. Congress (a body that is partly elected by the people themselves) has the power to raise armies, not the President. Congress’ power even has a caveat: that no appropriation of money can be made for the army for greater than a 2-year term. When you really look at it, this is a solid protection against an unnecessary standing army. With this in mind, our hypothetical political neophyte might then assume that the fury of these objections is based on the fact that our citizens are so worried about their freedom, that their current (or previous) governments’ charters must have included very specific and explicit limitations on the formation of standing armies. The fact that those traditional, explicit limits have somehow been left out of this proposed Constitution is what all the fuss is about. Naturally, he’d be led to look at the States’ constitutions for evidence to support his assumption. What he’d find is that only 2 of those charters put an explicit limitation on standing armies. The rest either don’t mention the subject at all, or explicitly allow them. Imagine his surprise to discover that while the Articles restricted the States in that capacity, they make no mention of preventing the Federal government from forming standing armies. At this point, it would become absolutely clear to him that this objection is rooted in nothing more than political show-boating and fear-mongering. If anything, this proposed Constitution provides better security against the danger, and it at least deserves a fair and honest hearing based on the facts. This hypothetical observer would have to conclude that it looks like the opponents of the proposed Constitution are more interested in misleading people with emotional appeals, rather than convincing them with rational arguments. Even if there is no historical or popular support for our opponents’ point of view, it is still worth taking a closer look at. If we did put a more explicit limitation on the formation of standing armies, it would probably end up being harmful (if not outright ignored). It’s true that we’re far from Europe, but even on this continent, we’ve got British territories to the north and Spanish ones to the south. Both have islands in the Caribbean. We have sometimes-aggressive Native-American tribes to our west who are likely to ally with the British or Spanish against us. Improvements in shipping and communication will in effect make the world smaller. These facts, combined with the knowledge that Britain and Spain have two of the best navies in the world, and that it isn’t totally improbable that an alliance may form between them in the future, you can see that critical danger may arise at any time. We’ve had to keep a guard on our western border ever since the Revolution. Obviously we need to keep this up as a defense against the native tribes. How are we going to man those forts? Either with militia who are sent to the frontier – away from their homes, families and jobs (which would be at least impractical and expensive, if not outright dangerous) – or with a small standing army. We should leave these options open to the wisdom of the legislature, and not force them to go with the much more troublesome militia-only route. As we become a stronger nation, Britain and Spain will probably start keeping more troops on the continent to look out for their own interests. It would be wise for us to have enough men available in our frontier forts to counter that threat. Some key places – either because of their military or commercial importance – should definitely be strongly occupied at all times in order to prevent them from being taken by our rivals. If our economy continues to rely on trade – or even if we just want to protect our shores – we need to have a navy. With a navy comes a need for port facilities and seacoast forts. Eventually, once we get a stronger naval presence, we may be able to get rid of the coastal forts, but at the start they will be necessary to protect us. Originally published December 18, 1787 by “Publius” – who was in this case, Alexander Hamilton. Let’s talk about why we need a government with at least as much power as the one the proposed Constitution sets up. What should the government do for us? What amount of power does it need to do those things? Who is the “us” in the first question? So, what are things that the federal government should do? Provide for the common defense – protecting us from foreign threats as well as domestic rebels; regulate interstate, as well as international trade; and finally, oversee all our diplomatic relations with other countries. Our government can only provide for the common defense if it can also raise armies and maintain a navy, all the while providing material support, and control over them both. Because it is impossible to know exactly what kinds of military emergencies might come up, THERE SHOULD BE NO LIMITATIONS ON THIS POWER. If there are infinite types of danger, there should be infinite powers to meet them. This truth is so obvious as to be self-evident, but if someone is expected to do a thing, he must be given enough power to actually accomplish it. I can’t make it any simpler than that. Whether we should have a federal government to protect us at all is a fair question, but as soon as we decide that would should have one, it must be given enough power to actually be able to do its job. And unless the dangers to public safety can be defined as only being within certain limits, it is necessary for there to be no limit to the power of the federal government to create, control, and support the military. As bad as the Articles of Confederation are, at least they acknowledge this fact (even though they didn’t really flesh it out fully). Congress was given the power to ask the States for men and money in support of an army, and to control that army. And given that the States are legally obligated to comply (even if they ignored that requirement much of the time), you can figure out that the intention was for the federal government to have any resources it needed to defend the individual States. You would think that the States would act in their own best interests and comply with those requests. In practice, it obviously didn’t work out that way, and it should be clear to everyone that we need to totally re-think this system. If we’re serious about giving the federal government the power to defend us, we have to stop thinking about it as interacting only with the States – we have to give the federal government power over the individual citizens living within those States. The quotas are stupid and unfair, and we should get rid of them. In the end, the federal government needs to have total authority to raise armies and navies, and support them with taxes – the way all other governments do. If we’re going to have a confederacy – rather than one national government – then we need to figure out how to divide up the powers between the States and federal governments. Is the federal government responsible for defense? Are armies and navies necessary for defense? If so, the federal government must control those. The same argument applies with commerce. It’s as simple as that. Should disputes between a State’s citizens be handled by that State? If so, the States need to have enough power to do that. If you don’t give the respective governments the power to do their jobs, you are unnecessarily handicapping them. So who is best-equipped to provide for that defense? Isn’t it the government that is able to see, understand, and control the whole picture, and will be most likely to forcefully look out for everyone’s interests? It is madness to give the federal government the responsibility for defense, but leave the States with all the power needed to carry it out. Doesn’t this end with us sitting around wishing that the States would cooperate more? Leaving things how they are will only make us weaker, and our military less efficient, and the burden of it unfair. Isn’t this what we just got done dealing with during the Revolution? The more we think about it, we have to admit that the federal government needs this power. Of course, it will be up to the people to ensure that this power isn’t abused, but any plan to fix our government that doesn’t include this power should be immediately rejected. If you can’t trust a government to do the fundamental thing that it should do, then you probably shouldn’t be installing that government in the first place. If you trust them to look out for you, you should be able to trust them with the power to do so. The opponents of the proposed Constitution are focusing on scaring you with the powers this new government has, when they should really be concerned with the structure of it. If it’s true that no government can be trusted with enough power to effectively govern a country our size, then we shouldn’t even try to make one, and just split up into separate confederacies right now. Otherwise, the paradox of demanding something that the government doesn’t have power to provide will become unbearable. Don’t try to work with the paradox – seize the logical solution. I don’t think the other side can prove that this country is too large for a single government. I think I’ve made it pretty clear so far that the opposite is true: we need a central government, and the vast size of our country proves that we need one that is vested with enough power to govern it. If we listened to the people who rail against the proposed Constitution, we’d have to conclude that even the weak government created by the Articles of Confederation is too powerful for them. The final stop on my tour was also inspired by an entry at the HMDB: St. Michaels, MD. I saw a marker mentioning a series of attacks on the town by the British during the War of 1812, and I just had to see what that was all about. After finding a parking spot in town, I took a walk around. St. Michaels seems to be a weekend getaway town for the Baltimore / DC Metro area. There are a lot of bed & breakfasts, and a ton of shops and restaurants along the main drag of Maryland Route 33. With beautiful views along the river and harbor, even a scenic boat tour available, I can definitely see the appeal. As far as history goes, the town is well-stocked. It bills itself as “The Town That Fooled the British”. Legend has it, during a nighttime bombardment by the British navy, the citizens hung lit lanterns up in trees to throw off the range of the British gunnery. This tactic was apparently successful. The militia also managed to halt two attempts by British land forces to advance up the peninsula. A recreation of John Smith’s Shallop used to explore the Chesapeake in 1608. 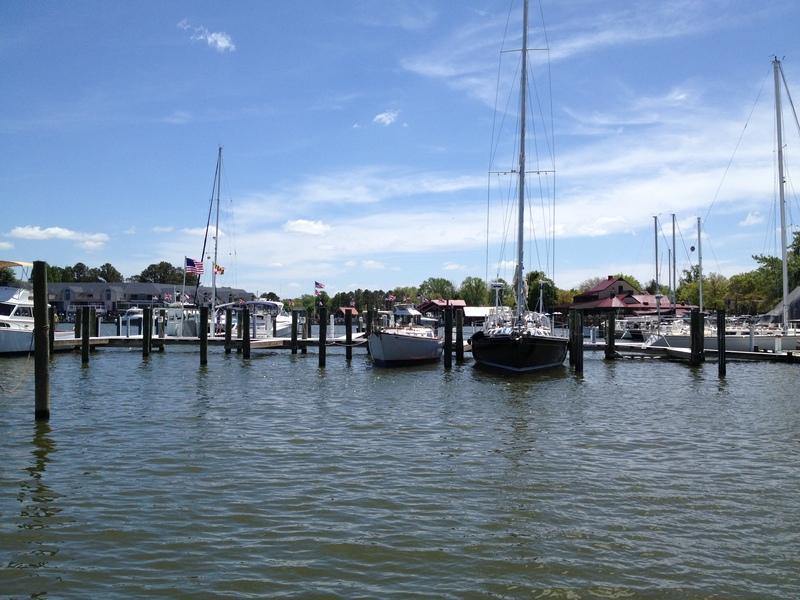 The Chesapeake Bay Maritime Museum is there, too. While I didn’t go through it myself, it did look like it had a good variety of exhibits about life on the bay. 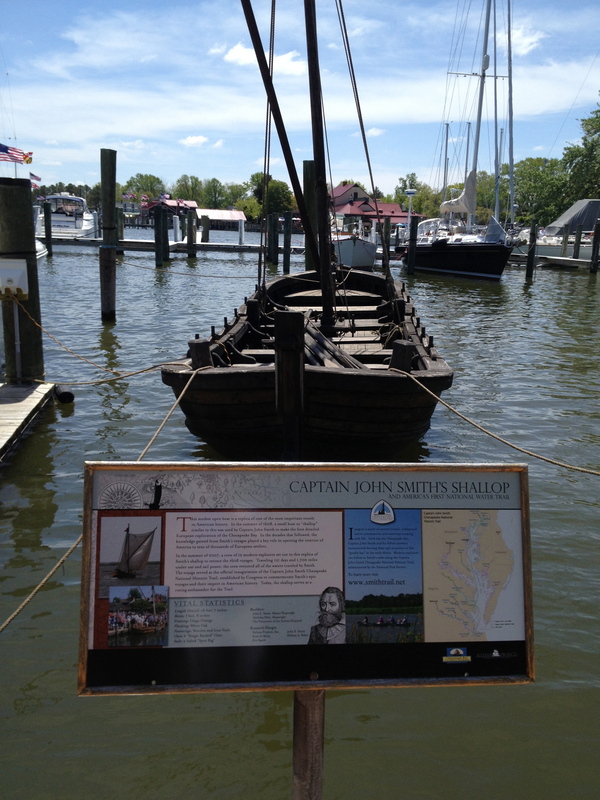 There’s a small park along the harbor near the museum where a model of the type of boat that John Smith used to do the initial explorations of the Chesapeake Bay is moored. This particular boat was built for the 400th anniversary of the event 5 years ago, and retraced Smith’s historic route in celebration. I walked down through town toward the town square – which doesn’t seem to be much of a “square” at all, actually – in search of an artillery piece that was used in the defense of the town back in 1813. Once I got there, I stumbled on to the St. Michaels Museum which was open for the first time this season. There was an assortment of small exhibits – mostly pieces of equipment from everyday life used by people in the area. The lady working as the hostess on Saturday was extremely welcoming and knowledgeable about the area. They expect this year to be a big one for them – with the bicentennial of the battles on the horizon this summer. 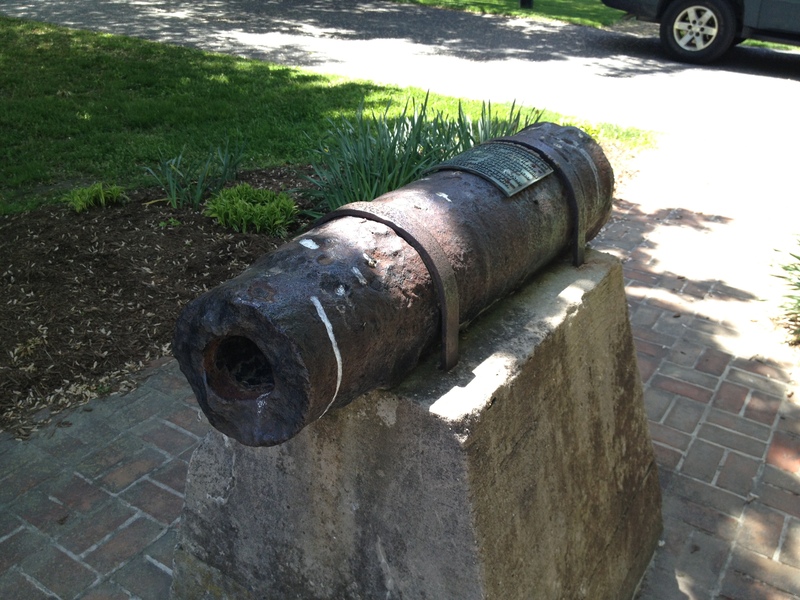 6-pounder cannon used in the defense of St. Michaels, MD. 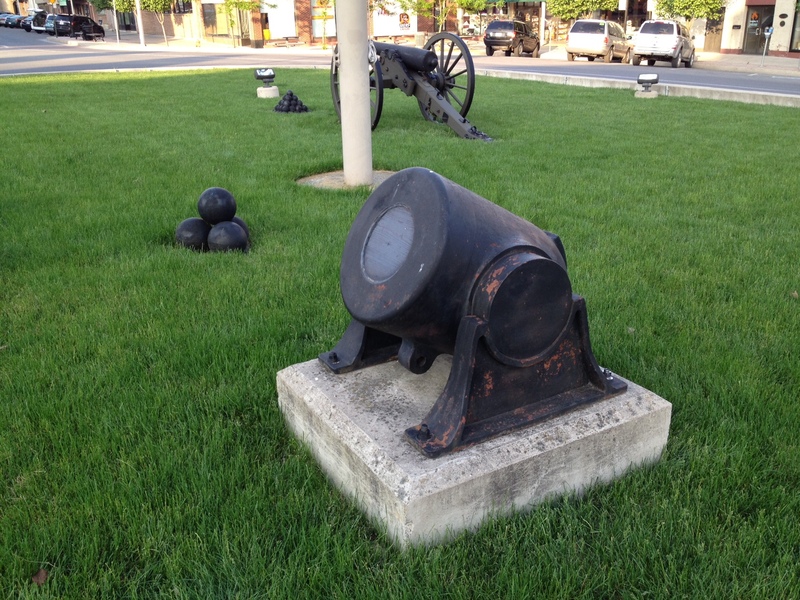 Of course the other draw in the town square is the cannon used in the defense of the town back on August 10, 1813. 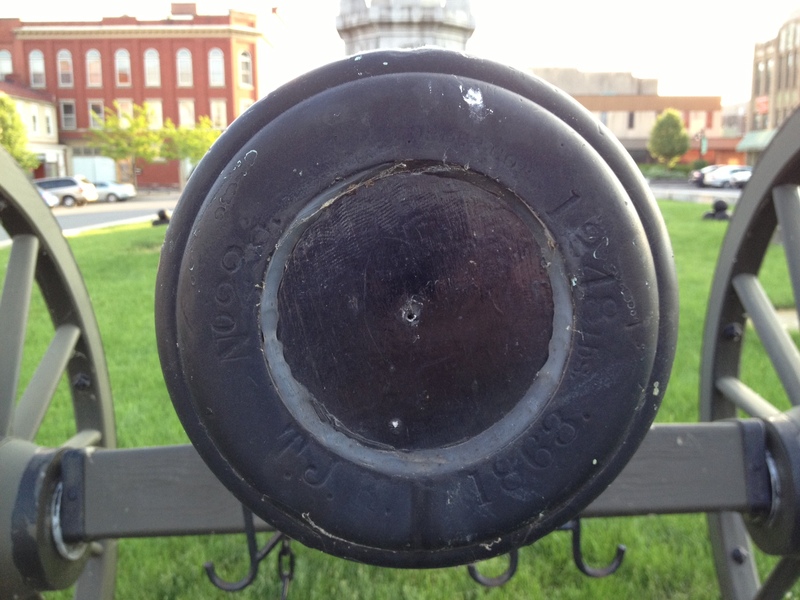 The weapon was placed here in 1913 during the centennial celebration of the battle. 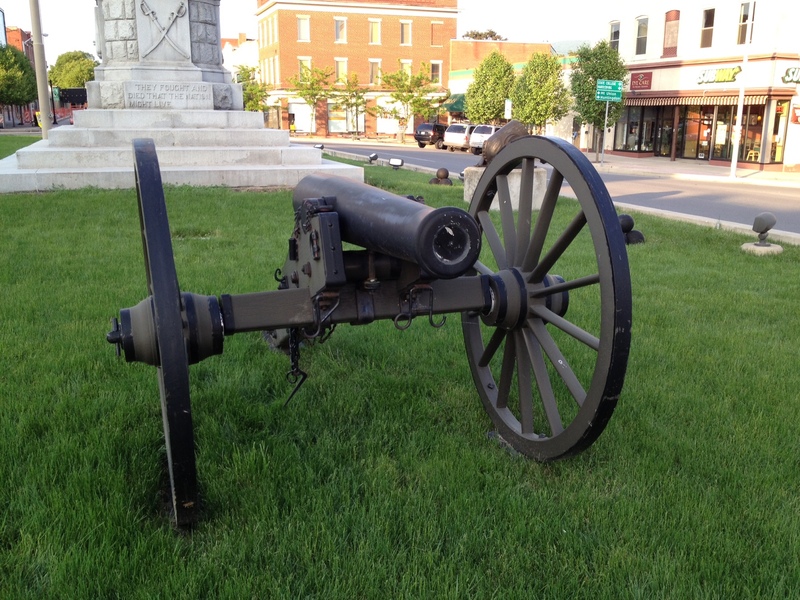 It’s a 6-pounder – so by my Civil War artillery standards, it’s a pea-shooter – and in extremely rough shape as you can probably tell by the photo. 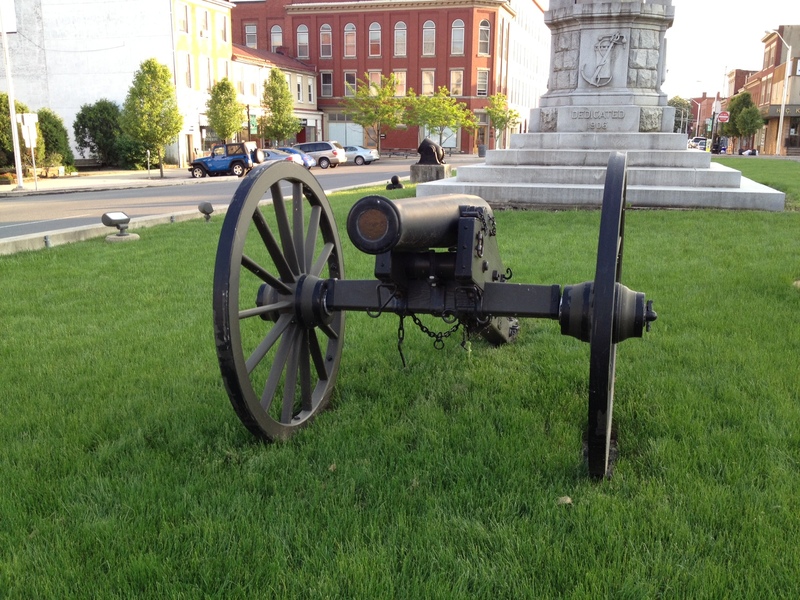 That being said, it may be the oldest artillery piece I’ve ever seen. The oldest cannon on the field at Gettysburg is a howitzer that was manufactured in 1837, so this piece has my personal record beat by probably at least 30 years. There’s an almost identical one across the street from the Revolution (so presumably even older), and in just as rough a condition. Frederick Douglass went to church here for a time. Apparently Frederick Douglass spent a little time in St. Michaels before he moved north to escape slavery. 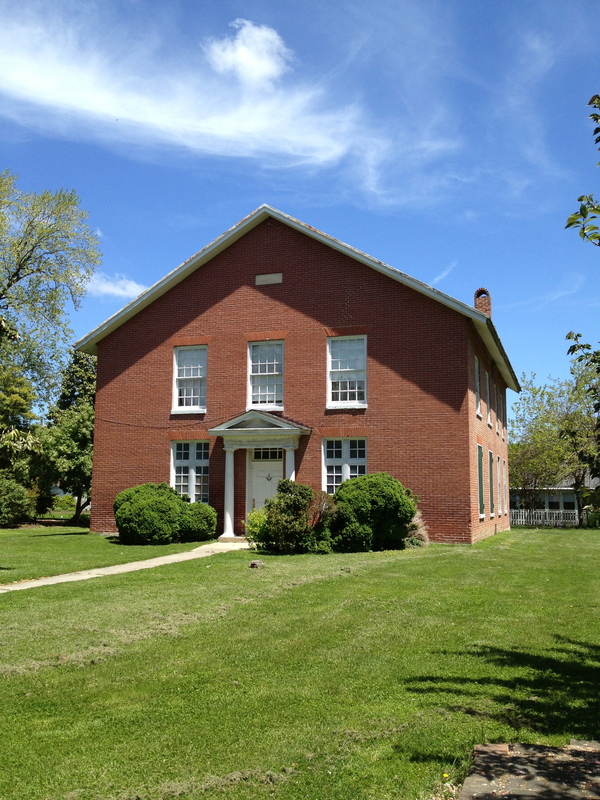 The building above, currently used by the Masons, was a church in Douglass’ day, and he attended services in the upstairs room. And with that discovery, the circle was complete on my day of historical tourism. I have to say, I was pleasantly surprised with the amount I was able to squeeze in. There’s a lot to explore over there, and it has raised my interest in learning more about the history of slavery in Maryland. 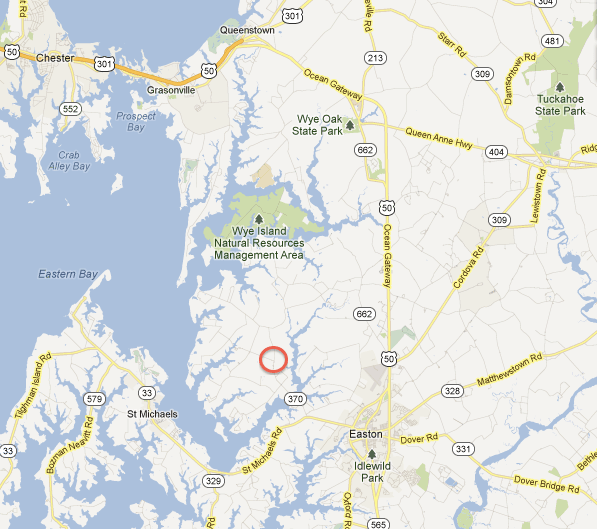 There’s certainly a rich vein there – especially on the eastern shore. So get out there and see what you can find in your own back yard. And keep an eye out for those roadside markers – you never know what you’ll discover! Originally published December 14, 1787 by “Publius” – who was in this case, Alexander Hamilton. The problems we’ve already discussed aren’t the only ones that make our current system incapable of good government. Everyone agrees that the government should be able to regulate commerce. We’ve already talked about how useful this would be, so I don’t have much to add. It’s obvious that this item requires federal supervision. The fact that our current government can’t do it has already led to tensions between a few States, and problems in negotiating foreign treaties. I mean, who is going to make a trade agreement with a government that can’t guarantee control of its own trade? The plan of the British government seems to be to play our States off each other. And many States have done just that – acting independently in regulating their trade (especially with Great Britain). We need a uniform policy. The greed and selfishness of some States, manifested in their trade regulations, has already led other States to complain and seek their own selfish solutions. Not only does this go against the whole idea of “Union”, but if we don’t get this under control, there won’t be a Union left. Look at what the Germans have done to their commerce by having every prince exact his own taxes on trade passing through his territory. Now, I hope we wouldn’t be so stupid as to allow that to happen, but if we keep going down this road of conflicting State interests, we’ll almost certainly end up treating all our neighbors like foreigners. The ability of our current government to raise armies depends upon the generosity of the States for money and men. This led to severe problems and inefficiencies during the Revolution. States could only meet their quota of men by offering huge bounties to anyone who would sign up for them. As the men became more scarce, the bounties went ever higher. The people saw this going on, and so able-bodied men weren’t enlisting, hoping to get a better deal later on. In the midst of crisis, we couldn’t get enough troops, and were overpaying for the ones we had. Some States resorted to tactics that were less-than liberty-minded in order to meet their quotas. Is that the kind of society we want? Not only is this system inefficient, it’s unfair. The States that have active battles going on within their borders had to try very hard to raise men out of fear, while the States that were far from the action barely participated in recruiting efforts. It isn’t like the negligent States could be easily found out – sending fewer men is harder to track and figure out than sending less money. The States that didn’t do their part will probably never make up for it. It’s pretty clear that this quota system – both for men and for funding – just doesn’t work. Another problem is that every State has an equal say. This is unfair to the larger States – Delaware and Rhode Island have an equal voice to Pennsylvania and Virginia – and fundamentally goes against the idea of majority rule. Of course some will say that the States are all equal and sovereign, and thus a majority of States equals a majority of the country. But this doesn’t make sense – what if the “majority” that is formed of States is actually a minority of the total population? Should we all have to submit to the will of the minority? How long will it take the larger States to simply leave the Union rather than put up with this? By sticking around, they wouldn’t only be giving up power, but fairness, too. Since the smaller States aren’t equipped to go it alone without the larger ones, they should support any measures that keep the larger States happy. One answer to this problem is to require a 2/3rds vote for any major decision – the idea being that 2/3rds of the States will always equal at least a majority of the population. But this isn’t fair – and plainly doesn’t add up. You can today put together 2/3rd of the States that don’t constitute a majority of the population. This is on top of the problem of determining which issues fit in the “major” category vs. the ones that can be determined by a simple majority. Also keep in mind: we will probably be adding more States later. In addition: this “solution” may actually cause greater problems. If all decisions require a 2/3rds vote, then the minority can always veto the majority. We might as well have minority rule. And if some States aren’t available to vote on a matter, the problem is compounded. There have been cases where Delaware and Rhode Island (together about 1/60th of the population) have been able to block legislation. In this case, the “solution” acts in practice in exactly the opposite way that its designers intended. The idea behind a 2/3rds requirement is that it will promote security, but it in fact promotes obstructionism and corruption. In emergencies, quick action is required. Things have to move forward. In order for that to happen in such a system, the majority has to do what the minority wants – the minority will, in effect, be in control. This leads to delays, corruption, and bad compromises – and you’re even trained to feel good about these things! It all ends in weakness, and maybe even anarchy. It doesn’t take much imagination to see that this also increases the chances for foreign corruption, not to mention rebellion at home. You may think this isn’t true, but imagine the damage that could be caused by a foreign power grinding our government to a halt at just the right time. While the 2/3rds requirement guarantees that nothing destructive will be done, its easy to forget that nothing good will be done either. The power to halt progress can be just as dangerous as the power to make the wrong progress. Imagine that we’re in the middle of a war, as an ally of one nation against another. Now, if we got tired of war and decided to try to make peace while our ally wanted to continue, it wouldn’t be difficult for the ally to figure out that all he has to do is bribe 1/3rd of the States to see things his way, and he can prevent the peace process from happening. The same can also happen with our enemy – manipulating a small minority to get their way. And not just with wars, either. One foreign nation could, through corruption in a small number of States, prevent us from trading with other foreign nations. I’m not making this stuff up. While the republic is a great form of government, it’s weakness is in how easily it can fall victim to foreign influence. Monarchies are far from perfect, but at least a King will not sell out his own country – that particular evil is extremely rare. In a republic though, people who have been given power by their fellow citizens are often tempted by their own greed to sell that power to the highest bidder. Their personal gain isn’t explicitly linked to the good of the country as it is with a King. There are tons of historical examples of this kind of corruption in republics, and we’ve already talked about the damage that resulted. This type of buying of influence is commonplace. Yet another problem with our system is that we have no federal judiciary. Laws become meaningless without courts. Treaties as well need to be treated like law, and we need courts to apply them. Rather than leave national matters to the individual State courts, we should have one supreme court to keep things consistent and act as a final arbiter. Most other nations have a setup like this. This becomes even more of a problem in our system, where there are federal and State laws. What is to keep the States from over-ruling federal laws that they disagree with? If State courts get the final say, we will not only potentially end up with dozens of separate answers, but those answers will obviously be in the best interests of the individual States, not necessarily the common good. This is especially a nightmare for treaty interpretation and enforcement. Why would any foreign nation take us seriously when any treaty might be imbued with 13 different meanings? So far, I’ve just talked about the biggest flaws in our system. There are still other smaller ones that gum up the works, too. Obviously, the system is so flawed that we can’t just patch it up with amendments – we need to gut it and start over. Congress isn’t organized in an effective way. A single house may work OK now, but if we start giving additional powers to the federal legislature – even ones that everyone agrees it should have – it could lead to problems. If we don’t change this aspect of Congress now, we may be forced to give the additional powers in an emergency situation later. If that happens, the government will either crumble under the weight of it, or become so all-powerful and tyrannical as to become one of the worst of all time. We will have created the terror that the opponents of the Constitution claim to be wary of. Finally, it doesn’t help things that the Articles of Confederation were never approved by the people. Because it is essentially only an agreement between legislatures, there are questions about whether it can be repealed by individual States, or if it is even a legitimate government in the first place. As bad as it sounds to allow one party of a contract to completely annul it, that idea is on the table. We need to have a more solidly-constructed government. Our future has to be founded on the consent of the people. All national authority must be granted by them. In my first post of this series, I talked about relying on the HMDB to help me find things to explore on my trip. If it weren’t for the HMDB app (which is well worth the $2) that I have on my iPhone, I never would have found Unionville. The fact that I wouldn’t have found it is another of those problems that I’ve been discussing in this series. 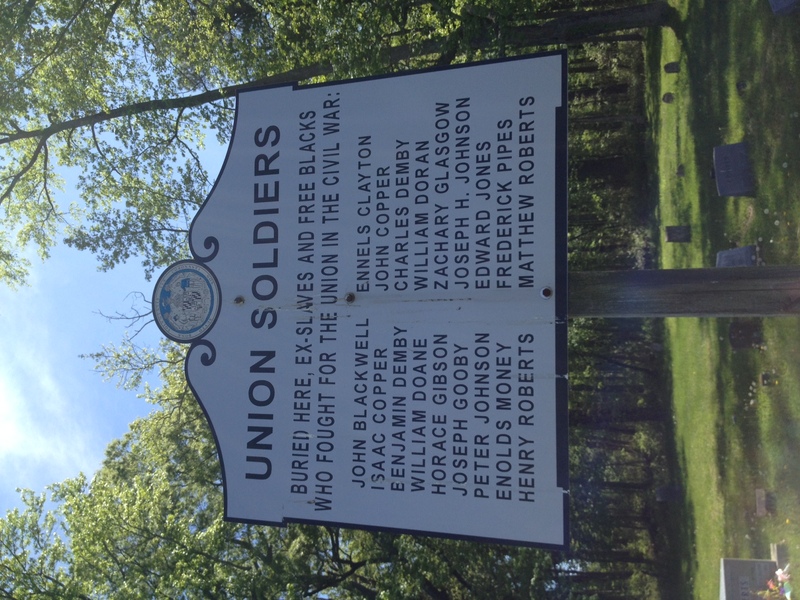 As I learned on Saturday, Unionville was a community of free black veterans and their families that sprang up after the Civil War. The land for the town was donated by a local Quaker family: the Cowgills. In fact, the original name given to the town by the residents was a nod to those donors: “Cowgilltown”. 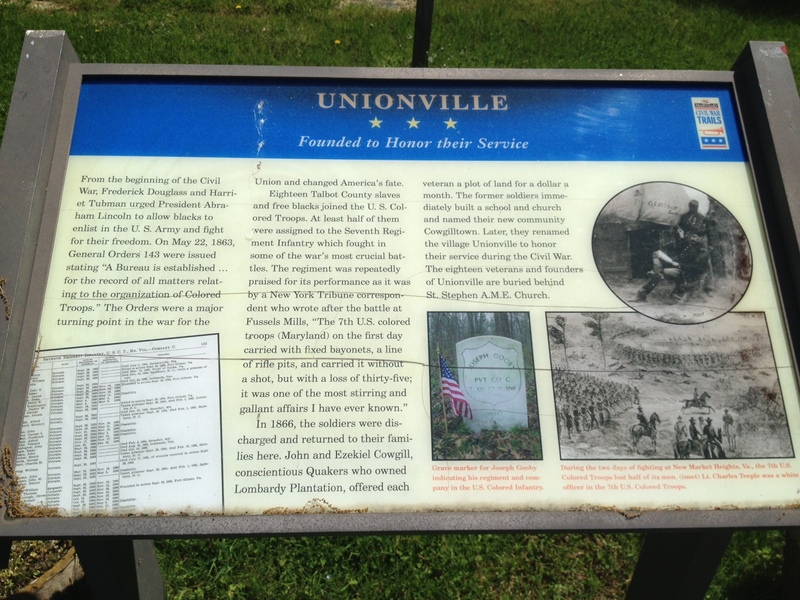 Eventually, the “Unionville” name stuck as a tribute to the army that won them their freedom. I have to imagine that life was anything but easy for these men – aside from the fighting they saw, they lived on the eastern shore of slave-holding Maryland in the period around the Civil War. Racial tensions must have been high after the war (to say the least). Perhaps having a town of their own was helpful. The HMDB had a listing for a marker just outside of town which piqued my interest and inspired my visit. I wanted to find that cemetery. It turns out that the town is really just a row of houses on either side of Maryland Route 370 (also called Unionville Road). On the southern end of town, there is a church with a cemetery behind and a Maryland Civil War Trails sign in the parking lot – this was clearly the cemetery I was looking for. There are 18 USCT veterans buried here (USCT stands for United States Colored Troops, but on these headstones they are marked as “U.S.C.I.” which I assume means United States Colored Infantry). Several USCT units are represented by the men at rest here – I counted the 7th, 9th, 19th, and 39th – although most of the veterans here were members of the 7th USCT which was at least partly raised on the eastern shore. I spent a few minutes walking through the cemetery, trying to find all the veterans. Sadly, swamp land seems to be encroaching on the southeast corner – which I imagine is particularly bad for a cemetery – and made for treacherous footing near more than a few grave sites. It’s also a shame that this site is so far off the beaten path. As Civil War historians – amateurs and pros alike – we don’t do a very good job of telling the stories of these men. Many of the veterans in this cemetery were former slaves – even some who, like Frederick Douglass, “stole themselves”. These were men who didn’t just talk about “liberty”, they actually lived it. They know what that word means – probably better than any other men in American history. Sgt. 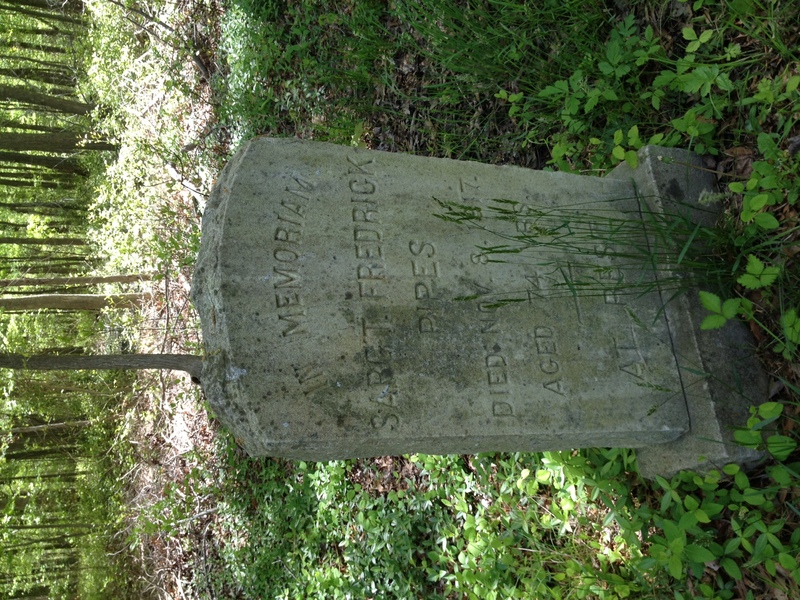 Frederick Pipes – the highest-ranking man I found here. Veterans such as these men deserve a better fate than to be buried in a swamp and nearly forgotten on a back road in rural Maryland. These men were true heroes, and a new generation of children – of all races and backgrounds – should know what they did to advance the causes of freedom and equality. Particularly these days, we can never have too many reminders.